Want our largest niche and a unique design element for you shower? With beautiful sweeping lines and lots of space, this niche is in a class of its own. You can leave the large areas open or you can even add a shelf using some of our 1 1/2″ wallboard to split the space. 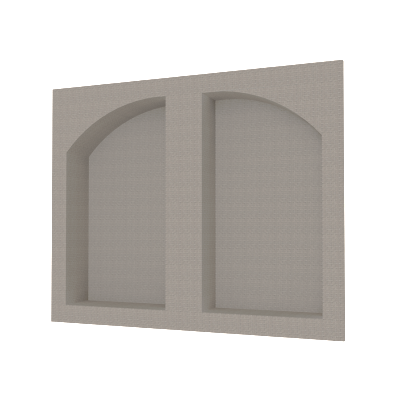 This niche needs to be placed across two 16″ OC wall stud spacing.